Spring fashion, especially at the beginning, is all about transitional looks. 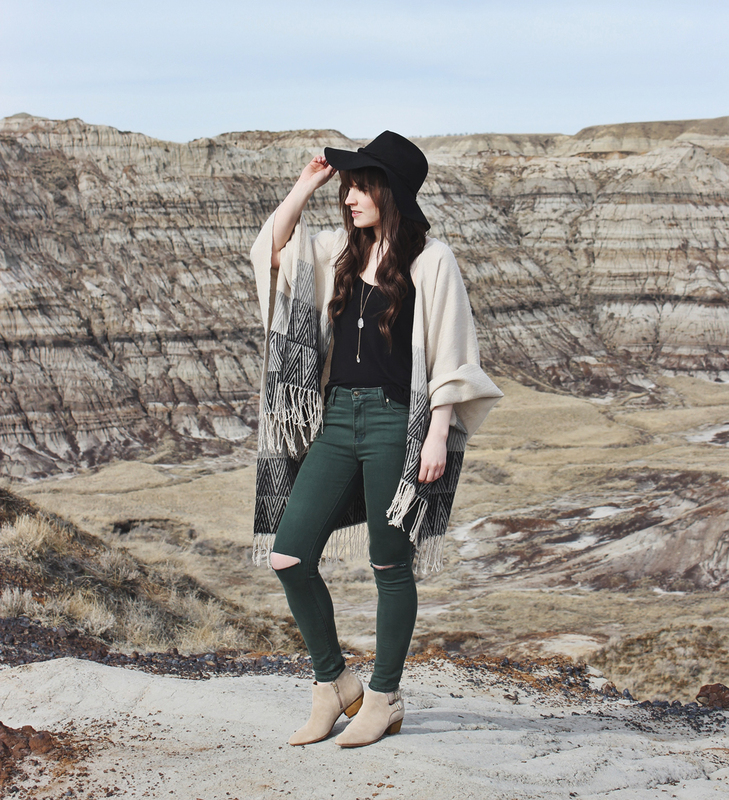 Spring in Alberta doesn’t bring the most predictable weather with it, so you almost need to be prepared for anything. To handle this bit of a transition, layering is key. 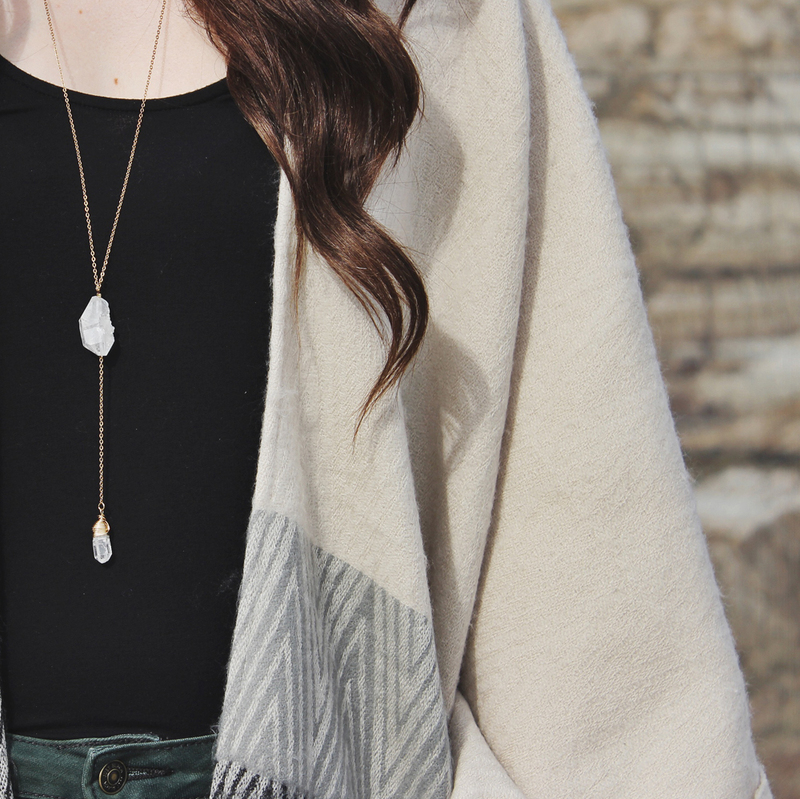 My favourite thing to wear in the spring are ponchos and shawls. 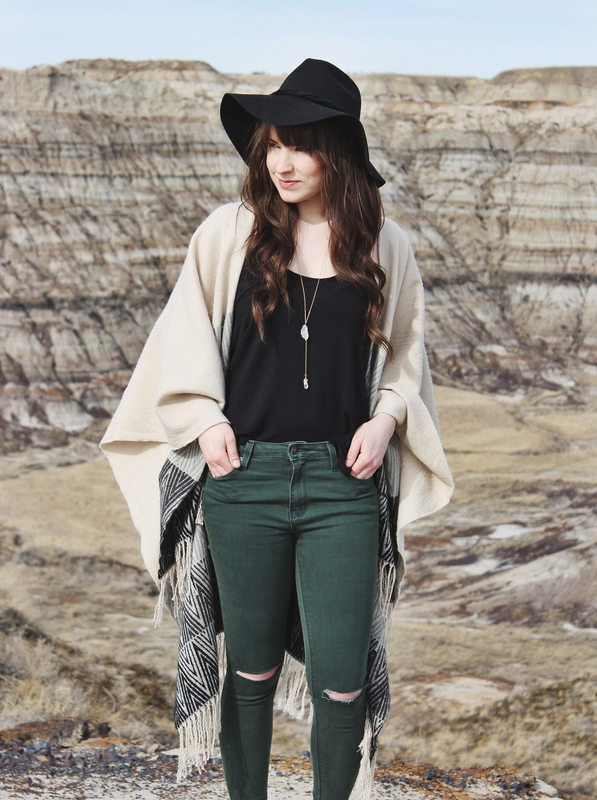 This poncho by Lovestitch is one of my favourites. It’s pretty warm so its perfect for this in-between weather. At this point i’m just happy if I don’t need to wear a warm jacket. The rest of the look consists of some new pieces i’ve recently added to my wardrobe. I’m obsessed with these green Just black jeans. I wear a lot of neutrals for the most part so I love how they add a bit of colour to the look. I’m also a big fan of these new Clarks booties. I own a lot of dark coloured boots, so it’s nice to have a lighter pair for spring. 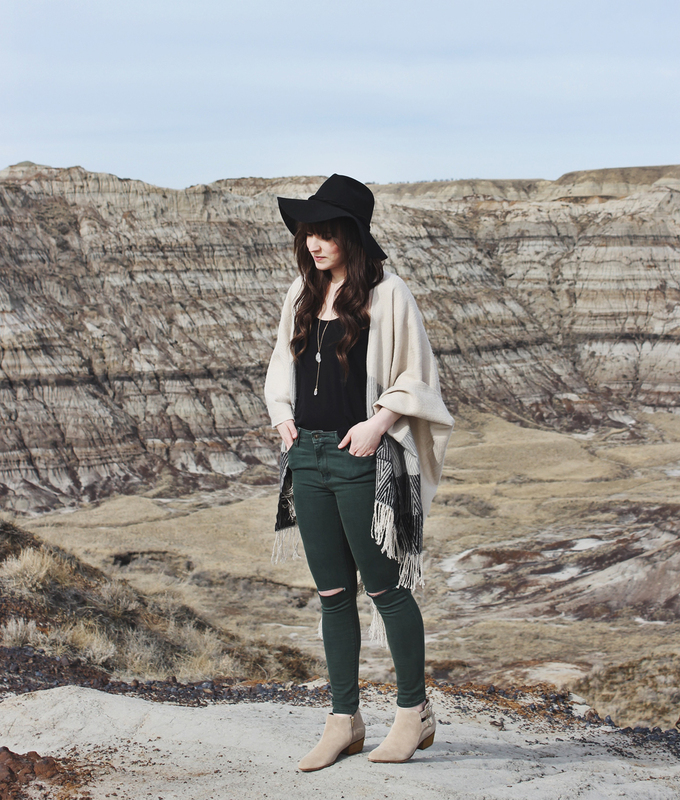 To accessorize I added my favourite black floppy hat by Free People and a quartz necklace by Shesso! Wow, such a stunning backdrop for this look!